I’m going to be out of town on the third Wednesday in June, so there will be no official GAIT meeting in June. For July I have reserved the Eagle Room at the Police Station on Sunset Way for 7pm on Wednesday July 16th. Mark your calendars for that. I plan to go and would encourage any other interested folks to attend. Last Wednesday nine of us (Becky, Paul, Ed, Erik, Bob, David, Barb, Karen, and Jeff) met in the quiet and comfortable clinic room at the back of REI. 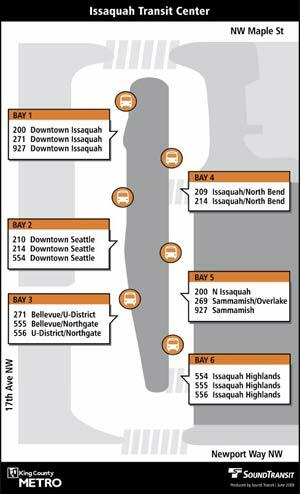 GAIT’s mission is to promote and enable walking, bicycling and bus riding as practical and fun ways to get around Issaquah. Measure number and distribution of benches, picnic tables, etc. The folks at the meeting were predominantly bicycle fans so a lot of this stuff skews that way (though if you squint at it right, most of it applies to all three modes). If you have ideas about how GAIT can promote and/or enable walking and bus riding leave a comment. Next month we’ll work on narrowing down the list into a set of goals and objectives. Our next meeting will be 7pm Wednesday May 21st in the clinic room at the REI store on Gilman Blvd by Safeway. The room is on the right at the back of the store. 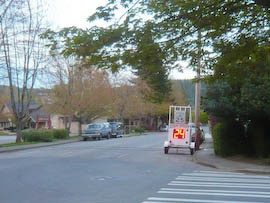 After we talked about Citizen Action Requests at our last meeting, member John wrote one up about the excessive speed of drivers on NW Juniper Street. Two days later a temporary radar speed sign was placed at the problem area. How’s that for fast action? John speculates that there had been many other complaints about this street, so maybe the sign was already in the works before his CAR, but it’s still pretty cool that the city is responding to this need. Let us know if you make use of the CAR process to address a ped/bike/bus transportation issue.